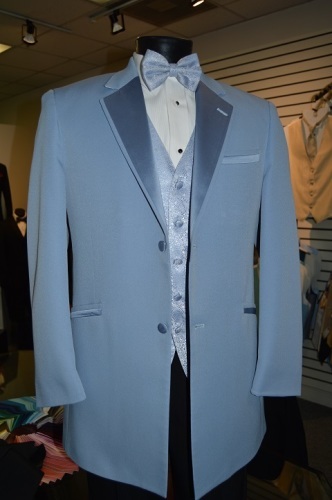 Light Blue Tuxedo Jacket. Two Button, Single Breasted Front and Non-Vented Back. Satin Lapels, Self Top Collar and Satin Double Besom Pockets. Available with Black Pleated, Flat Front or Skinny Flat Front Trousers. Sorry, light blue trousers are not available. 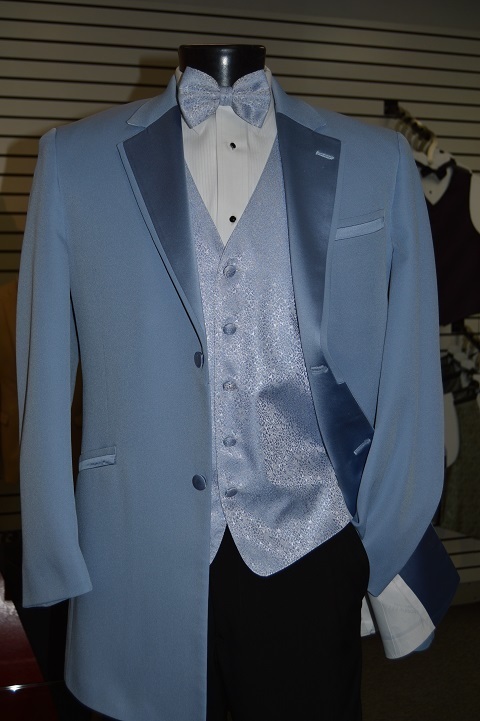 Shown with Periwinkle Celebrations Vest and Bow Tie, White Lay Down Pin-Tuck pleated Shirt.